Sandwell and West Birmingham Hospitals NHS Trust has appointed nine Freedom to Speak Up Guardians – the people who staff can turn to if they want to talk about issues they feel need addressing. The Guardians have received specialised training and are well placed to listen to issues and guide concerned staff on the best way to resolve those problems. This in turn will provide better care for our patients. Rosie is Head Orthoptist in Surgery though she works across all the Trust’s sites. Rachel is Deputy Directorate General Manager for Primary Care, Community and Therapies. Harpal works in Medicine and Emergency Care as a Patient Administration Manager. Dermott is a Clinical Practice Coordinator in Medicine and Emergency Care. Sue is a Consultant in Sexual Health in the Women’s and Child Health Group. 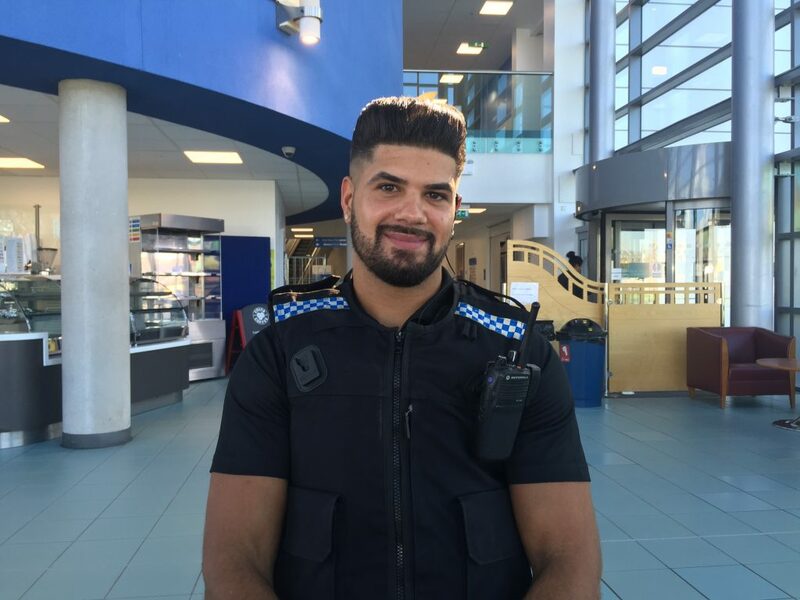 Anil is one of the Trust’s dedicated Security Officers – and he’s often found to be working the night shift. Ian is a Technical Supervisor in Medical Engineering. Sandra works in the community as a Clinical Team Leader/Occupational Therapist with Community and Therapies. Natasha is the Administration Team Leader at Sandwell A&E.